*Please note that some of the options below may not be available with this trailer. An innovative solution when payload is critical. Operators can gain payload increases of up to 1.3 tonnes - and that can mean an extra pallet in many cases. The AirSTEEL option package is a clever combination of design, manufacturing techniques and components. 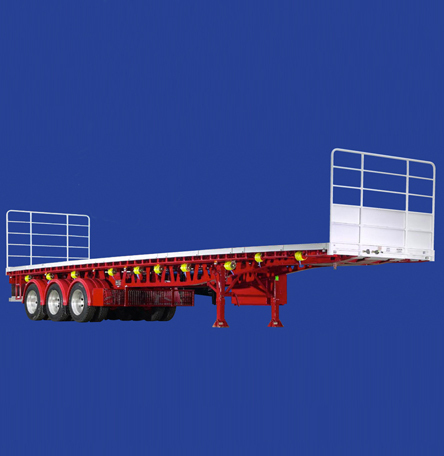 Together, these can significantly reduce the tare weight of a range of Freighter trailers without sacrificing durability. The most visible distinction of the AirSTEEL option is the purposeful "cut-outs" in the chassis flanges. Yet careful engineering of the chassis rails ensures that there is no reduction in strength. Other features of the AirSTEEL can include aluminium flooring and alloy wheels. 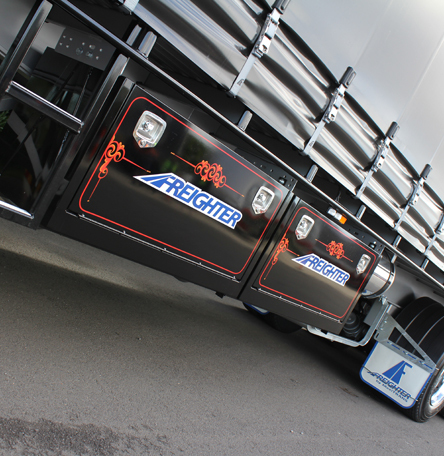 The AirSTEEL option package can achieve up to a 23% reduction in the tare weight of a 45ft flat top trailer, weighing in at less than 5 tonnes. Provides increased payload of up to 1.3 tonnes depending on the model and specification. Extra payload means increased profits. Lower tare weight means reduced fuel consumption when not fully loaded. 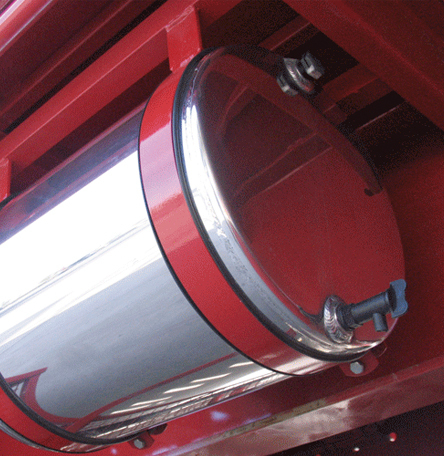 Stainless steel guards are durable and enhance the appearance of your trailer. Shown here with polished alloy wheels and chrome plated nut and hub covers. 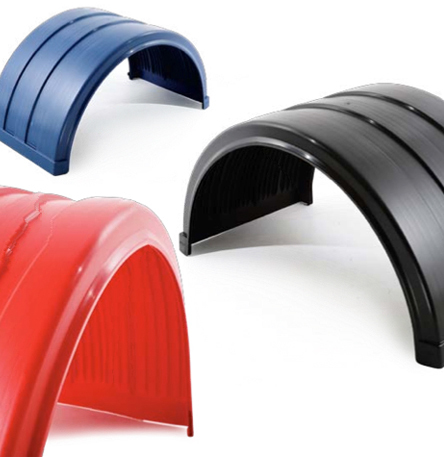 Plastic radius guards suitable for your Freighter semi-trailer are commonly used in B-Double combinations and enhance the appearance of your trailer. Freighter uses radius guards that have been optimised in formulation and design to maximise life, minimise fading and retain flexibility. 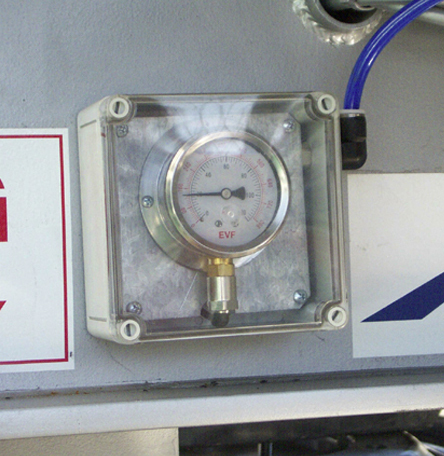 The convenient Freighter Load Gauge uses the measurement of suspension air pressure to provide an indication of trailer load. 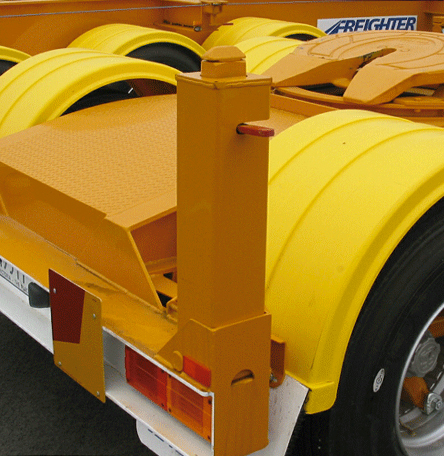 Freighter semi-trailer spare wheel carriers are designed to carry either one or two wheels and tyres. Please note that designs vary considerably depending on the Freighter trailer you have selected. Please check with your dealer for details when ordering. 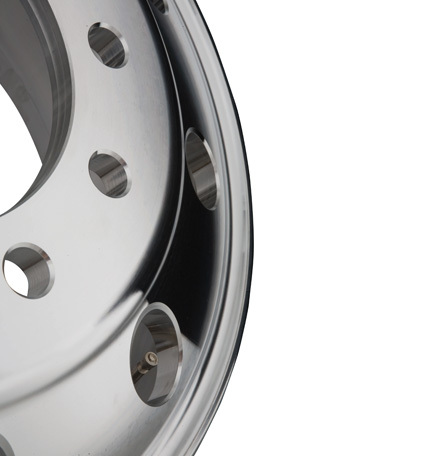 A set of quality alloy wheels improves trailer appearance and also helps to reduce trailer tare weight, thus increasing payload. Please consult your dealer for more details. 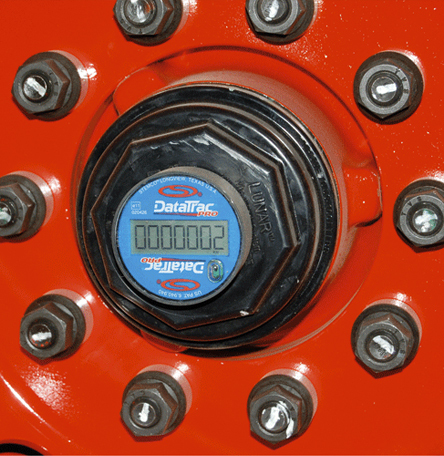 A Freighter approved digital hub odometer records trailer kilometres and helps with management of service programs and general maintenance. Please consult your dealer for more details. A variety of Freighter toolbox designs and sizes is available, depending on trailer configuration and specific requirements. Please consult your dealer for more details. A smart looking Freighter alloy water tank provides convenient water storage for handwashing. Please consult your dealer for more details. A Freighter twist lock allows the trailer to carry containers. On a drop deck, removable or folding pedestals may be specified. The pedestals allow the carrying of long containers on drop deck trailers by lifting the rear twist locks to the level of the front deck. 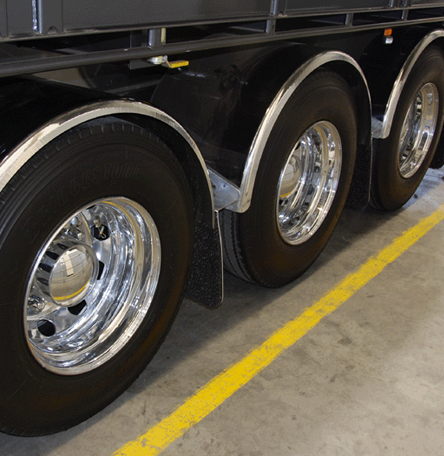 Twist locks are also available for fitment at the midpoint of drop decks for carrying 20ft containers, as well as fitment on lead trailers to the rear of the 5th wheel. Please consult your dealer for more details. Freighter has a vast range of non-standard options beyond which can be seen here. If you have a specific requirement, speak to your Freighter dealer for further information.